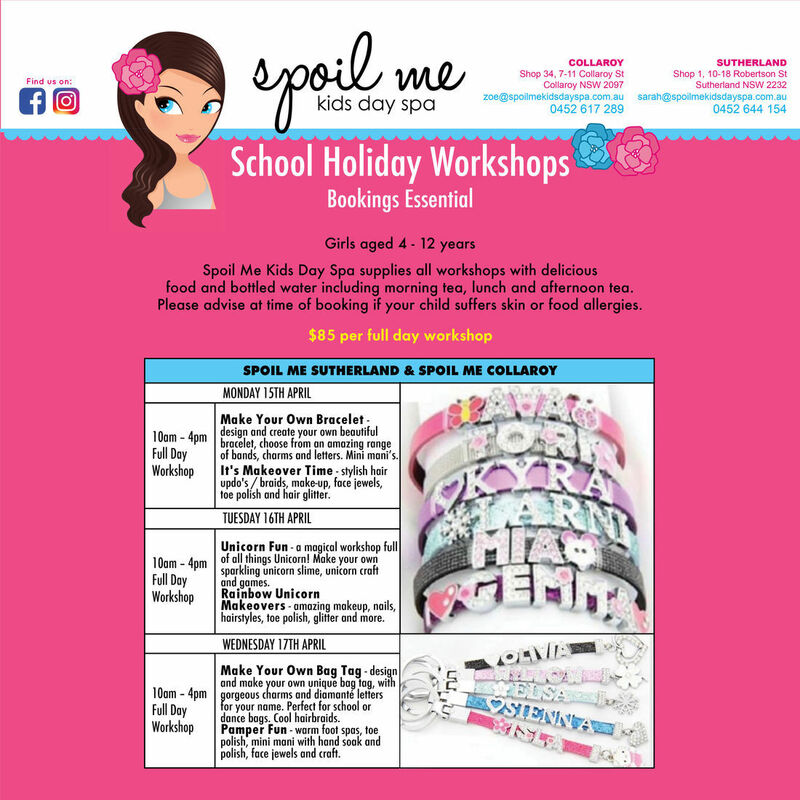 Welcome to Spoil me kids day spa, we host amazing all inclusive Pamper Parties in our stunning Sydney venues currently located in Sutherland and our exciting new Spoil Me Kids Day Spa in Collaroy. We also run a great range of School Holiday Workshops in Collaroy and Sutherland. 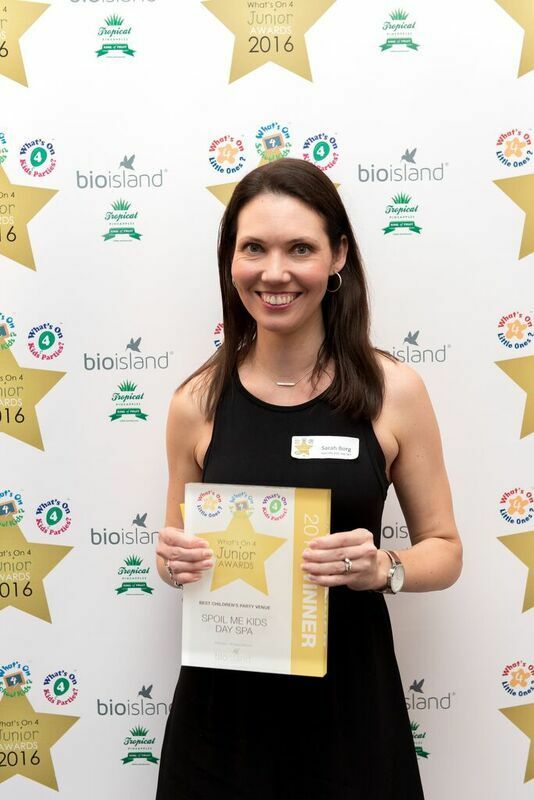 We are thrilled to announce that in 2016 we won the Whats on for kids Australia award for Australia's Best Party Venue! Foot spas, nail polish, facials, and candy bars create the perfect atmosphere for your child's birthday party! Spoil Me is not only our name but our promise to you and your child on this special occasion. All of our packages are there to create an atmosphere not only for the child but for the parents as well. While the girls are being pampered, the parents will be relaxing in the 'Parents Retreat'. We take the worry and the stress out of the day by managing the occasion from start to finish. From invites to food, hosting to cleaning up, there is nothing for you to do except have fun and enjoy your child's spa day.